Hello everyone ! warn welcome visit our page , did you plan start your own food store ? are you still worried can’t find a right manufacturer ? I think this article will give you the answer . As a direct supplier, we are mainly dedicated to the design and production of commercial display showcase , such as phone shop furniure , clothes display rack , jewelry display showcase , food counter and more . 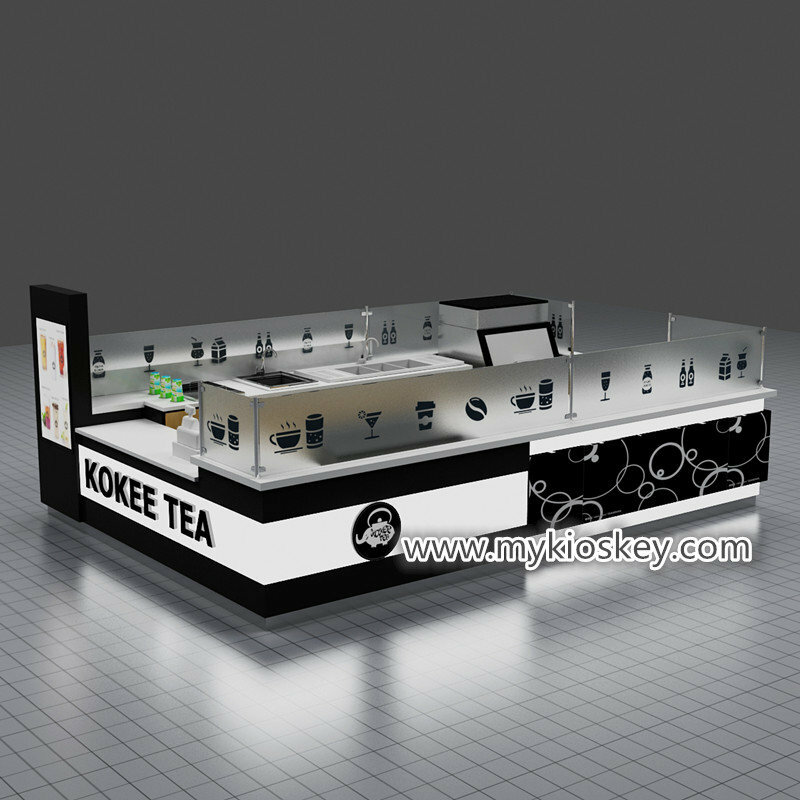 today i wanna introduce a popular bubble tea kiosk for your meet , I have to say that this is a very successful case. This guest purchased three sets in a row in a year . Please follow me to learn more details. 1. More introduce about this bubble tea kiosk . When you first saw this kiosk , I guess you will be deeply attracted. 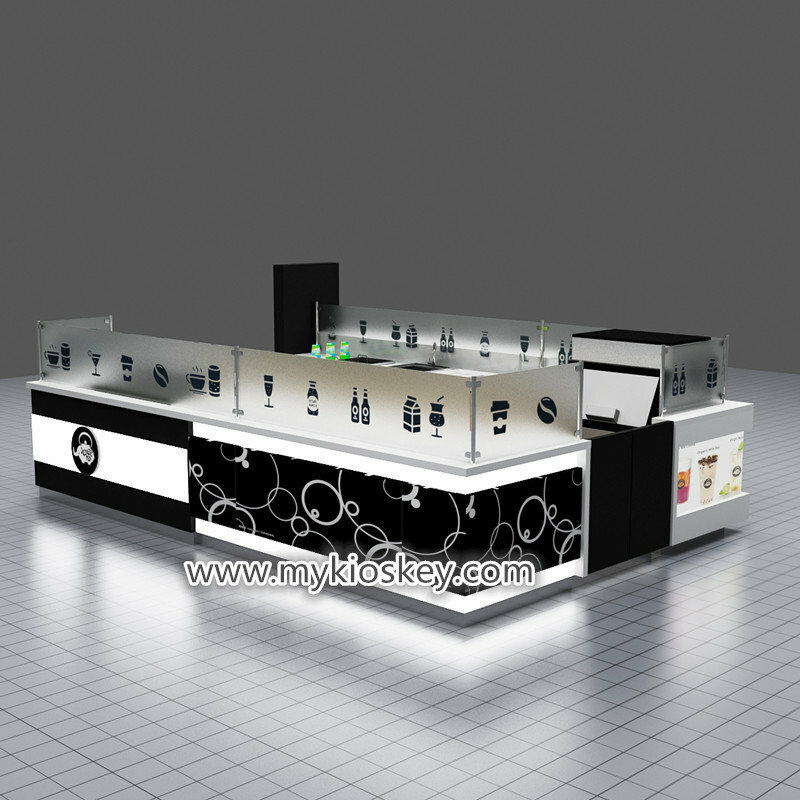 whole kiosk mainly tone is white and black, very modern and customized , basic material is Plywood, surface is laminate , art glass and acrylic light box . 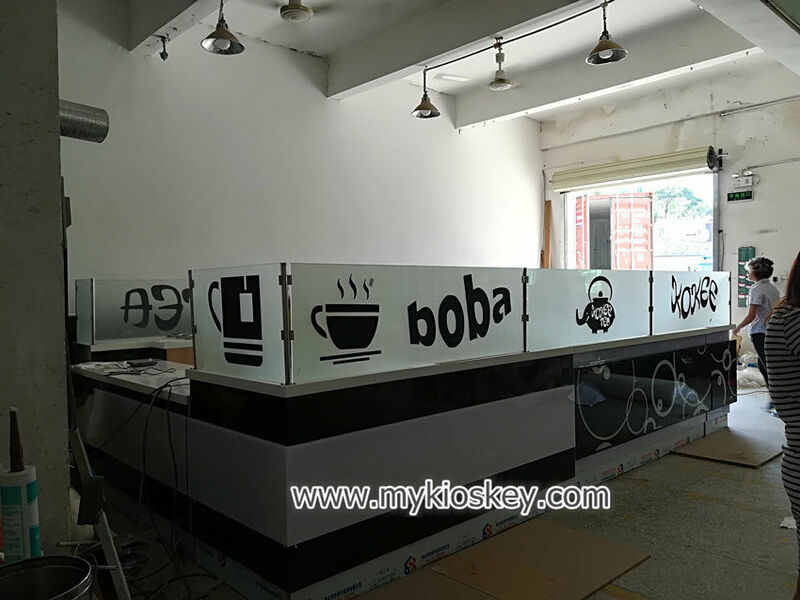 white man made stone worktop , wooden cabinet for storage , A circle of frosted glass baffles decorated with various tea stickers , stianless steel skirting with white led light , very high end and bright . Item : bubble tea kiosk . Material : plywood , laminate , art glass . acrylic . Package : foam inside + wooden box outside. Accessories : light box , acrylic logo , sink . 4. How can i customized a milkshakes kisk like this one ? 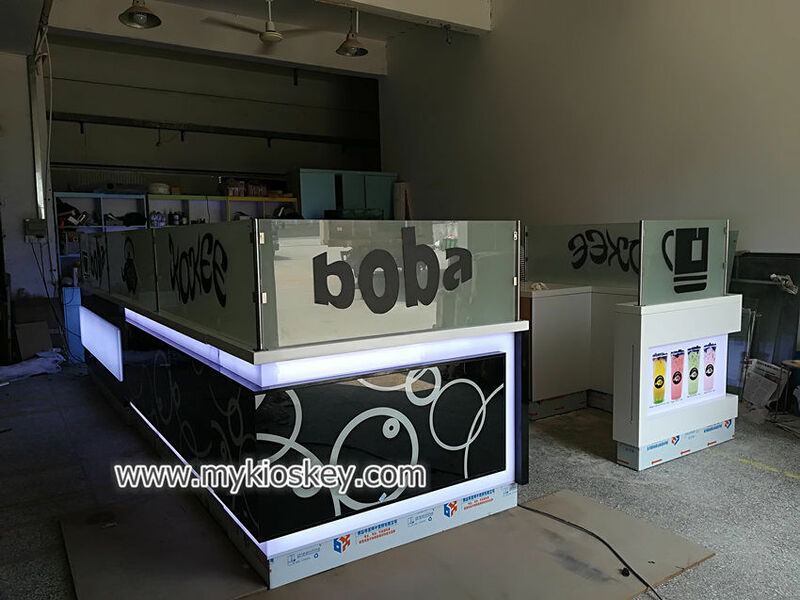 Thanks for your time and reading , if you need more further info about this bubble tea kiosk , pls feel free to contact us , thank you !